Disney may have another hit franchise in their hands. 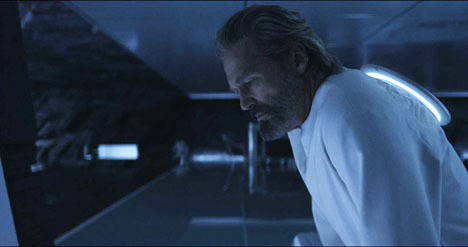 I must admit when I went to the theatre to see Tron Legacy in 3D I was not impressed with the story at all. I decided to pick it up on blu ray for the wife to see and watching a second time around has changed my opinion. This is definitely one of those movies that grows on you. 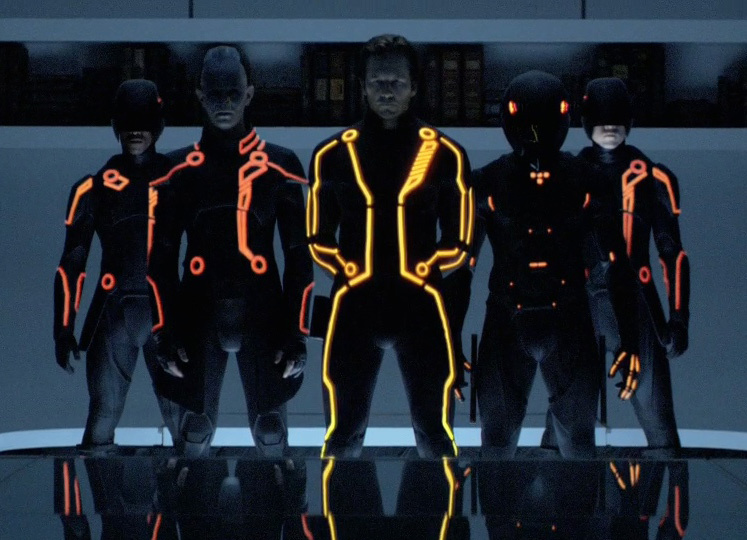 The main thing that draws the viewer to appreciate Tron Legacy is that you don’t have to watch the original to enjoy the sequel. 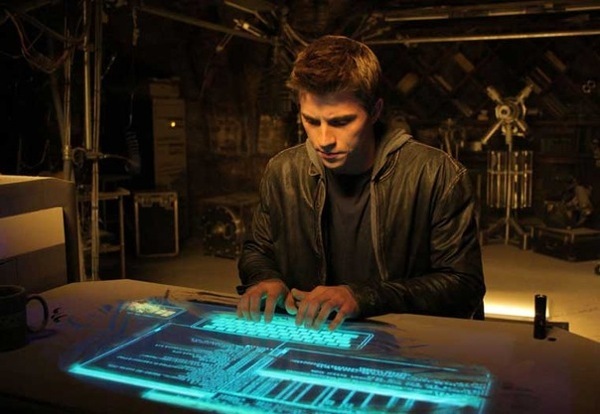 Sam Flynn (Garret Hedlund) is the son of Kevin Flynn (Jeff Bridges) creator of the Tron video game and Encom software from the original Tron film. Sam is a misguided soul and the majority stockholder and heir to Encom as the result of his father’s mysterious disappearance. Sam’s former Encom partner Alan Bradley (Bruce Boxleightner) and Tron from the original receives a mysterious page (yes…. On a pager) in the real world from Kevin Flynn. The page is from a number at Kevin Flynn’s old arcade and Alan tells Sam to go check it out. Upon arrival at the arcade (Key Journey’s “Separate Way’s) Sam finds a secret passage and is transported to “The Grid”, the digital realm of our world remade in his Kevin Flynn’s conception. From here Sam deals with confrontation, reunion, and responsibility. The visual effects in this movie are groundbreaking and stunning, especially the digital version of Jeff Bridge’s younger clone creation and nemesis (Clu). Clu is the ruler of the grid and is attempting to perfect the world by destroying all programs (humans) he sees as imperfect. New comers Olivia Wilde (Quorra) and Beau Garrett (Gem) add to the visual eye candy and Michael Sheen (Castor/Zuse) is evil and hilarious at the same time. 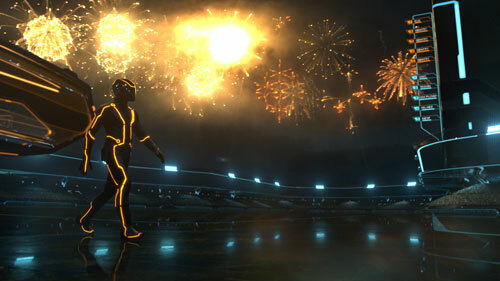 Tron Legacy gives the original its props while setting itself up as a separate powerhouse. Sequels are sure to follow based on the ending and an in depth viral look of the “Flynn Lives” campaign. This is a great film for the action junkie while still staying family oriented. I recommend picking it up and adding it to your collection. 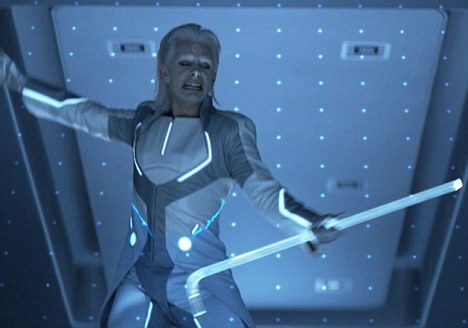 Below is a teaser viral trailer supposedly for the next installment of Tron.